What does it mean to be quiet as a church mouse? This charming picture book shares the story of how one little boy learned to sit still while his imagination kept running free. With these fun and colorful illustrations, follow along as a boy and mouse discover how reverence shows our love and respect for our Savior. 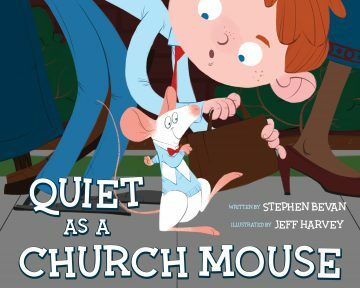 Quiet as a Church Mouse is published by Cedar Fort, Inc.